We have all seen crafts made using duct tape, but masking tape can also be used to make some interesting crafts. 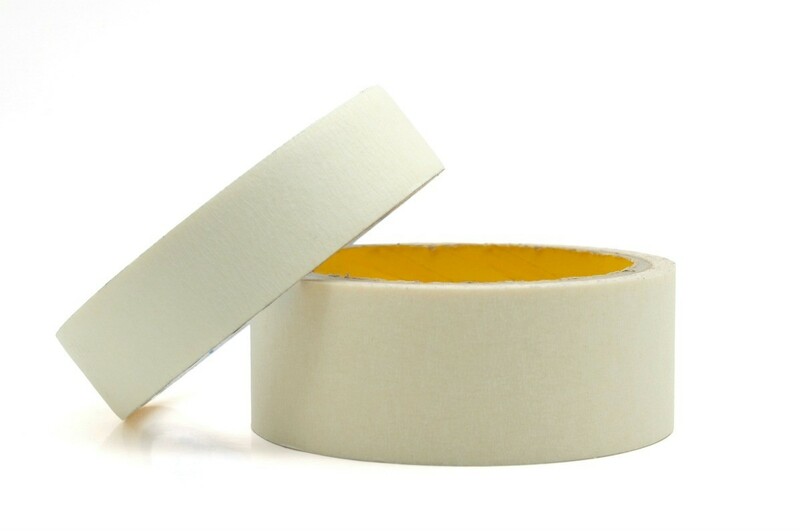 This is a guide about crafts using masking tape. Take an interestingly shaped vase or bottle and make sure it is cleaned out really well inside and out with soap and water. Dry it thoroughly. Then take a roll of regular masking tape start tearing it into small little pieces all the same size. I made these with kids many years ago. I searched the web to see if anyone had a photo and directions. And yes they did. This leather-faux like vase for example, is a challenging activity for your older child, as well as a great gift idea. Your child can feel the satisfaction of creating a gift from the heart, for a teacher, Mother's Day, or grandmother gift! A younger child can use larger pieces and scissors. Completely cover your clean glass bottle, with torn or cut pieces of masking tape. Smaller the better. (older kids) Work for 15 minutes and then take a break and work on it again, making sure that the pieces of tape overlap each other. Cover the table with a newspaper and with an old rag, rub the shoe polish into the tape. Or use a shoe polish with a sponge applicator. Leave to dry. Tips: Younger children should not participate in the shoe polish stage. Sometimes a second rubbing or glossing adds to the beauty.